One way that our congregation participates in outreach and social justice work is to designate one Sunday of each month as a Generosity Sunday. We donate the proceeds of the offering to an agency or project that serves the community or the cause of social justice. Do you have, or know of, an organization that could benefit from a UUFSD Grant? 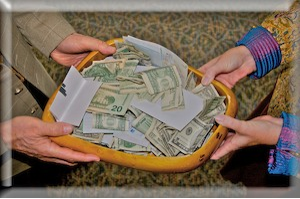 Click here to download the UUFSD Generosity Sunday Grant Policy. Then download the UUFSD Generosity Sunday Grant Application in either PDF format or MSWord DOC format. For more information, contact generosity@uufsd.org. Environmental Health Coalition. Environmental Health Coalition is a community-based organization dedicated to improving health and protecting the environment in the San Diego/Tijuana region. We believe justice is achieved when empowered communities act together to make social change. For 39 years, we have organized and advocated to protect the environment and public health threatened by toxic pollution. Our local work supports low-income, ethnically diverse communities of Barrio Logan, City Heights, National City, and Colonia Chilpancingo in Tijuana. Our Climate and Transportation Justice Campaign focuses on reducing air pollution and carbon emissions, and promotes clean energy and increased accessible mass transit. The Syrian Community Network – San Diego. The Syrian Community Network – San Diego is a grassroots, community-based organization that works to support refugee families, especially women and children, by providing them with the tools they need to become self-sufficient and financially independent. We strive to improve the lives of refugees through client-centered and innovative programming. The Unitarian Universalist Fellowship of San Dieguito will be supporting SCN’s Women at the Wheel program, a classroom-based driver education program for refugee women that provides behind-the-wheel training and case management support to help refugee women get their driver’s licenses. Survivors Empowered. Survivors Empowered was established in September 2017. We are a national organization working with other like-minded organizations that are actively building coalitions in all fifty states to help anyone who has suffered mental or physical trauma because of gun violence. We have a rapid response team of survivors that arrives on the scene in the immediate aftermath of mass shootings to educate the affected community on how to deal with the needs of the surviving victims and families. Our board members are all victims of gun violence and know the trauma that is part of the life of all victims of gun violence. We work closely with “San Diegans for Gun Violence Prevention”. It is a coalition that was formed a few years ago by the “Brady” and “Moms Demand” chapters of San Diego. Interfaith Community Services. Interfaith Community Services serves over 17,000 clients a year provides a wide array of comprehensive social support services for low-income or homeless families, individuals, children and youth, seniors, veterans, and persons with disabilities in North San Diego County. The Regional Task Force on the Homeless. The Regional Task Force on the Homeless (RTFH) is committed to ending homelessness throughout the San Diego region. In 2017, RTFH merged with the regional Continuum of Care (CoC) which is a consortium of service providers to strengthen their impact in all areas of the county, serving all subpopulations of clients experiencing homelessness. There is one goal: end homelessness. Survivors of Torture International. Since 1997, Survivors of Torture International has cared for thousands of men, women, and children who have fled violence in over 80 countries related to their religion, ethnicity, gender, gender identity, sexual orientation, and their work for human rights. Survivors clients live throughout San Diego County. Clients are asylum seekers, refugees, legal permanent resident and U.S. citizens. Public Watchdogs is a California. Public Watchdogs is a California nonprofit working to prevent the burial of deadly radioactive nuclear waste at San Onofre State Beach Park. We have an active lawsuit to stop the burial on behalf of the Public. Your donation provides fund for public outreach and legal expenses. Gaden Shartse Cultural Foundation. The Gaden Shartse Cultural Foundation funds the Gaden Shartse Monastic College in southern India where 1600 monks, scholars, and spiritual practitioners live and study. Seven of these monks will come to UUFSD from May 16-20 for a week long festival. The highlight will be the construction of an incredibly intricate and beautiful sand mandala representing our inherent wisdom. After painstakingly creating the mandala it will cast into the ocean. Under the guidance of the Dalai Lama these monks carry on the centuries old tradition of the teachings of Tibetan Buddhism. Our donations support the continuation of this school and culture in a diaspora. Voices for Children. Voices for Children transforms the lives of abuse children by providing them with volunteer Court Appointed Special Advocates (CASAs). We believe that every child deserves a safe and permanent home, and to that end, we review and monitor every court file in the system, provide a CASA to every child in the foster care system who needs one, and advocate to improve the lives of foster children. NAMI North Coastal San Diego. NAMI North Coastal San Diego is a grass -roots, all volunteer organization whose mission is to inspire and support those with brain disorders and their families. Volunteers educate and inform the community about mental illness and work to erase the stigma of brain disorders. Camp de Benneville Pines. Camp de Benneville Pines was established in 1961 to serve all members of all congregations in the Pacific Southwest District of UUA. Camp de Benneville Pines welcomes Unitarian Universalists and kindred spirits to connect in nature, to ignite creativity, strengthen community, and build capacity to influence positive change in the world. Encinitas Community Resource Center: The Encinitas CRC promotes a sense of community, healthy families and responsible, capable individuals. Works to break the cycle of family violence and decrease the number of hungry and homeless people in our community. Promises2Kids: Promises2Kids is a leading nonprofit organization originally founded over 35 years ago as the Child Abuse Prevention Foundation of San Diego County. Since 1981, Promises2Kids has responded to the needs of foster children and provided support to children removed from their home due to abuse and neglect. Survivors Empowered: Survivors Empowered is an organization founded by Sandy and Lonnie Phillips after the slaughter of their daughter, Jessica Redfield Ghawi and eleven others in the Aurora Colorado Theater Mass Shooting in 2012. Their Rapid Response Team is a one-stop, Survivor focused team that will urgently deploy into the affected community after a tragedy to work with and assist politicians and the community to make sure that services and comfort are immediately provided to the victims and their families. Casas De Luz: Cases de Luz brings volunteers together with families in need to build houses and community centers in Mexico. The families selected for a home build have the rights to the land, a minimum of three children, and a weekly income of less than $100. The cost of the materials for these homes is paid for through fundraisers and UUFSD offerings in Sunday services. Banding Together brings music opportunities to individuals with special needs aged 13-24 in our community. This is accomplished through key by providing: music therapy scholarships, free Jam Session programs, mentorships, and instruments. Kids for Peace is a global nonprofit that creates peace through youth leadership, community service, global friendships, and thoughtful acts of kindness. There are 124 chapters, 15 are based in San Diego. Parent Institute for Quality Education (PIQE) provides a nine week course to teach parents about the importance and the value of being involved in their children’s education, and how to effectively navigate and impact the K-12 public education system. A Reason to Survive (ARTS) uses art to create positive, long-lasting change for over 50,000 at risk youth throughout San Diego County. ARTS uses media, music and performing arts to create an environment of safety, belonging and hope. Brady Campaign to Prevent Gun Violence works to pass, enforce, and protect sensible laws and public policy that address gun violence. It engages and activate the public to increase awareness of gun violence through educational campaigns. Casas de Luz creates change through youth empowerment, cross-cultural relationship, and leadership development. With the help of volunteers and interns it builds homes and community centers in Tijuana. It collects and delivers donated building supplies, household goods, furniture, and clothing weekly in support of the local community. Interfaith Center for Worker Justice: Drawing upon the unique resources of religious traditions, the Interfaith Committee for Worker Justice (ICWJ) of San Diego County provides a moral framework toward realizing an economy of well-being. The mission of the ICWJ is to educate and mobilize religious and faith communities to raise awareness and support actions that sustain workers’ lives with dignity, improving wages, benefits, access to quality healthcare, working conditions and a voice on the job. Effective protection for refugees and access to legal avenues for relief. Capacity building for overburdened nongovernmental organizations on the ground working with vulnerable groups such as women, children, and stateless refugees. Advocacy for medium to long-term relief needs. NAMI North Coastal is dedicated to improving the quality of life for people with mental illness and their families through support, education, and advocacy. Girls Rising uses the power of storytelling to share the simple truth that educating girls can transform societies. Our mission is to change the way the world values the girl and ensure that girls’ education is part of the mainstream conversation. Tibetan Gaden Shartse Monastary: Ganden Monastery is one of the “great three” Gelug university monasteries of Tibet, China. It is in Dagzê County, Lhasa. Ganden Monastery. The monastery was destroyed after 1959, but has since been partially rebuilt.